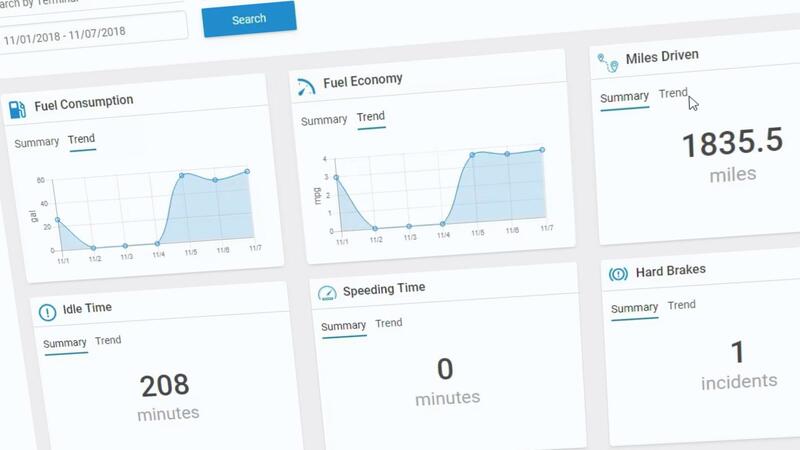 Optimize your fleet’s efficiency and safety by proactively monitoring your drivers’ performance to help reduce operational expenditures on costs such as fuel usage, maintenance, and violations. Identify potentially risky driving behaviors so you may quickly recommend corrective actions. Each report is exportable into Excel and PDF formats, and can be sent directly to drivers using Instant Messaging. Drivers can review their personal reports to best understand their driving habits, set goals, and track progress. Educate drivers on costs associated with idling to improve bottom line. Use data to keep the roads safer and decrease long-term maintenance costs. Maximize miles-per-gallon by training drivers based on their driving habits. Reduce the chances of an accident and help lower fuel consumption by tracking speeding trends. Easily monitor driving styles by setting up notifications in the DriverConnect portal. Create driver restrictions on speeding, hard braking, and over-idling and quickly receive notifications to correct behaviors. Proactively educate and train drivers to help improve all overall fleet safety and productivity.